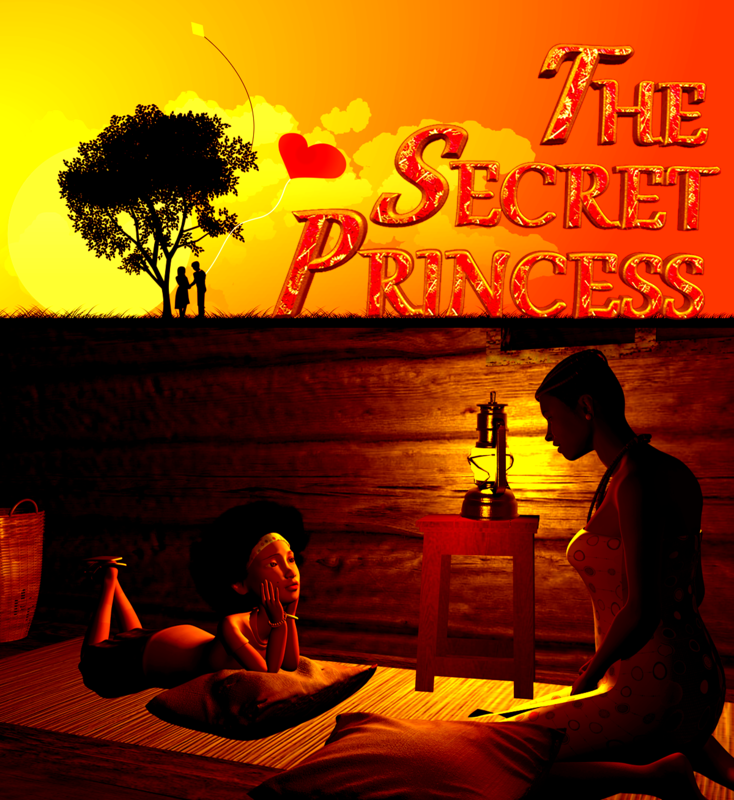 The Secret Princess "A prince falls in love with a mysterious girl unaware she is a princess that was switched for him at birth. A king wary of his crown and seeking for a male child to heir the throne led to a secret baby switch by the queen and a farmer’s wife. Sade the secret princess and her adopted mother are accused of being witches after the farmer disappears; they escape to the Jungle as the animals help them." A king wary of his crown and seeking for a male child to heir the throne; consequently leads to two newborn babies being switched, a princess and a farmers son. Following the mysterious disappearance of the farmer, the wife is accused of being a witch and to escape any consequences she runs away with the baby girl. Talking animals - A parrot that witness the baby switch spreads the word in the jungle and all the animals plan to help the girl and her mother who live alone in the jungle and often sad about their loneliness. Along the line the the Prince(farmers son) meets the girl(princess) and they fall in love. In the last few scenes a lot of amazing twists are revealed about many characters including the princess, the prince, the farmer and her wife, the queen and the King and of course Mr Tortoise... Enjoy the story as it unfolds in an amazing adventure; sweeping the audience into a world of innocence love and sweet friendship. TM & © 2014 TransTales Entertainment. All Rights Reserved.